Alfred A. Knopf. 1999. First. Hard Cover. Book: Very Good. DJ: Good. 8.5x5.5. 161pp. Very Good. 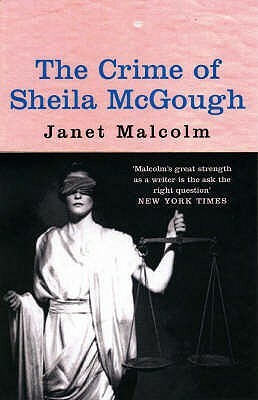 176 p. Janet Malcolm received a letter from a stranger, a lawyer named Sheila McGough, who wrote that she been convicted of crimes she had not committed. Malcolm decided to look into her alleged crime. Out of her investigations and narration emerges a portrait of American cupidity and American law, and of a woman too innocent to survive among either. Good. A sound copy with only light wear. Overall a solid copy at a great price! Fine. No dust jacket. Sewn binding. Cloth over boards. Audience: General/trade.